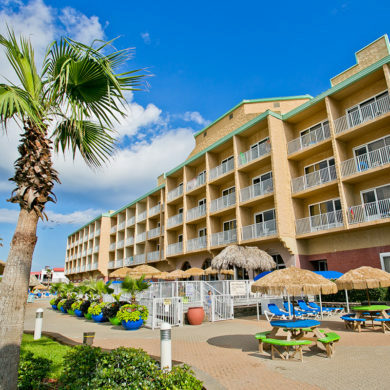 Welcome to Paradise at the Hampton Inn Pensacola Beach Hotel. 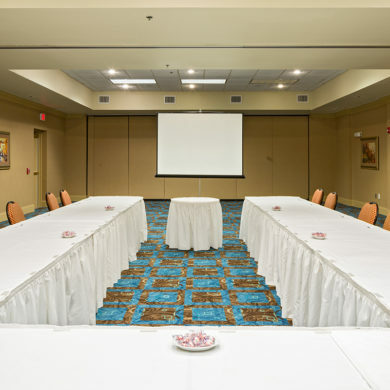 At the Hampton Inn Pensacola Beach hotel, we want to help you make memories. Whether you’re here alone or with a loved one, for business or for pleasure, for a night or for a week – we promise to give you our all. We’re located right on the beach in some of the whitest sand you’ll ever see. That’s right. Take off your shoes. Sink your toes into it. Walk a few steps, and dip them in the warm waters of the Gulf of Mexico. We know that all travelers are different, and everyone wants something unique from their stay. Children’s activities? We’ve got ‘em. Poolside lounge chairs? We’ve got those, too. But more than towels and room service, we’ve got a team ready to share real deal, true blue local flavor with you and yours. All you have to do is ask. We’re right in the center of everything this beachside town has to offer, within walking distance of the best restaurants and activities. When you stay with us, you’re just minutes away from a fresh fish dinner, parasailing adventure, shopping or spa treatments. We want to help you ‘live like a local,’ with recommendations for whatever suits your vacation or business needs. Ready to explore? We’re just a short drive to Gulf Coast attractions including the National Naval Aviation Museum, Gulf Islands National Seashore and Fort Pickens, Historic Downtown Pensacola, Pensacola Lighthouse, Blue Wahoos Baseball Stadium, Veterans Memorial Park, Pensacola Bay Center and the Saenger Theater. So whatever you want to do during your stay, we can help you get there. Just ask one of our Hampton Inn Pensacola Beach hotel team members to share their local knowledge. Our commitment to extraordinary hospitality makes us mindful of the little things – because we know the little things add up to one big, memorable experience. Surprise your special someone with a romantic beach getaway. 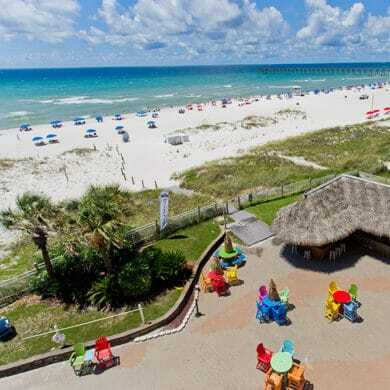 This Pensacola Beach hotel deal is the perfect way for couples to reconnect and relax.